The Astrophysics Institute of Andalusia (CSIC) in collaboration with other research institutes are in charge of designing the Imaging Magnetograph Experiment (IMaX). IMaX is an experimental solar magnetograph that produces very high resolution vector magnetograms of the solar surface with a spatial resolution of 70 km. IMaX is one of the post focal instruments of the Sunrise mission that contains a 1 metre aperture telescope. 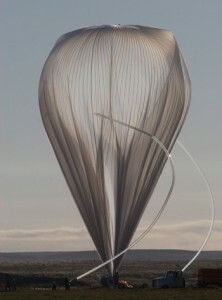 The stratospheric balloon is planned to fly for 10-12 days from Antarctica in the basket of the NASA Long Duration Stratospheric Balloon. Image acquisition and camera control is made with two dedicated SMT374 boards. FPGA’s main tasks are camera control, image accumulation and pre-processing (demodulating the Stokes signals). The DSPs are in charge of compressing the image with a lossless algorithm. The DSP Master synchronises the Host computer, the acquisition and demodulation logic, the optical devices logic, and the other three DSP coprocessors. The coprocessors are used for the lossless JPEG-LS compression of images. Communication between DSPs is done through a proprietary bus called IMaXBus: a hardware and software layer that abstracts the connections between DSPs and FPGA. As information transferred through the IMaxBus is accessed by a custom SDRAM controller, all memory operations use long bursts making the whole system very efficient. It allows the images to be directly transferred from one CCD (connected to DSP Master) to any other DSP in the system. The images are demodulated, compressed and sent to the DSP Master. A header is added to every image and then it is sent to the Host for further processing, telemetry and storage. The IMaX project included the integration and calibration tests with solar light, integration in the SUNRISE platform and the polar flight (summer 2009).